My younger daughter has been deeply upset for the last two days. Her classmate’s mother died on Monday morning and her teacher told her class on Tuesday morning. Even as the mother died my daughter was talking to her friend about her mother’s life and her death, which was expected. News of her death came the next day with the friend’s absence. The form teacher was in tears. All the class cried, some of them overwhelmed by their feelings and unable to process them. Each of them will have gone home and sought to untangle all their feelings with their family. I know that my daughter’s feelings of compassion for her friend are inextricably linked with her own feelings for me. When she cries, she cries not only for her friend, but for her own anticipated loss at some point in the future. It is in part her ability to imagine how she will feel when I die that moves her so. My younger daughter has a brain overly stuffed with mirror neurons and an easy ability to sit alongside other people’s feelings. She is naturally, perhaps even genetically (the ginger hair), very sensitive to other people’s feelings, and easily hurt. She is also very loving and caring. She’ll make an excellent child psychologist, or teacher. Together with her friends, she has been preparing for their friend’s return to school one day soon. They’ve even acted out role plays at break times, trying to imagine what will best help her feel loved and accepted. They’ve decided on big hugs and then normality. They’ve planned cards and presents too, despite their understanding that everything is somehow inadequate. I’ve felt inadequate too. Because I cannot summon up the feelings that my younger daughter can muster. Not because I do not also have an oversupply of mirror neurons but because I cannot easily summon up any feelings of loss when a mother dies. If I knew my daughter’s friend, then it would be different, and I would cry for her pain. 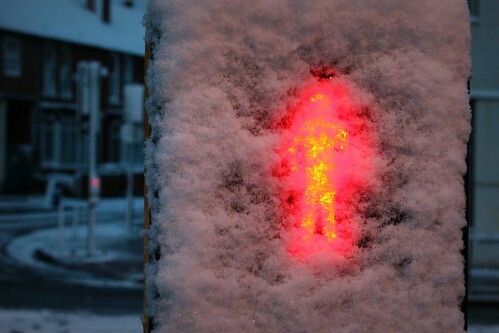 As it is, I only felt shock initially, followed by relief, when my mother died, and then a cold distance. I am not supposed to admit that, of course. Many people would see it as breaking one of the ten commandments given to Moses. Disrespecting my mother’s memory. At one level it feels like that to me, since I feel guilty for feeling that way. I am supposed to miss my mother, but I do not, and I never have. For a few months after she died I used to think she would be at the end of the phone when I picked it up when it rang, but I have never had moments when I have thought “I wish Mum was still here so she could see this, or so I could tell her that”. Sentiments that I have often heard a friend describe even though her mother died almost thirty years ago. Yes, I feel guilty. I wish I felt differently. I know she did the best she could, and that, in the minds of many, mentioning her shortcomings is extraordinarily ungrateful. I shared my guilt with a friend yesterday. It felt as if I was taking a big risk, owning up to my lack of feelings, but she is a good friend. She surprised me, because she told me she understood, that she felt like that too about the death of her father. I should have remembered that – perhaps I did, and perhaps that is why I chose her to share my feelings with. She talked about the deaths that our children’s friends had experienced and I noticed how she described her different responses to the death of a father, and the death of a mother. I am grateful, to her for her honesty, for I felt less alone, and a weight was lifted from me, and I no longer felt guilty about my feelings. The power of friendship, of acceptance, of understanding. So, emboldened, I am risking breaking the taboo here too. I do not blame my mother. There are many reasons why we may not have been able to share the relationship that a mother and daughter might share. I was a forceps delivery, a difficult birth. She gave up her career and her freedom to have me and was marooned on a outlying housing estate with no car for many years. My father was hardly ever at home. She had grown up during the war, the daughter of servants, and life had been hard. Having a baby of her own may not have been as she imagined when she was working as a health visitor or midwife and looked after other people’s babies. All sorts of reasons, which I can only guess at. None of us can help our feelings, though it is also true that we can begin to change our feelings if we are unhappy with them, but it is hard work. Changing those feelings requires me to acknowledge the lack of mothering. There is no other way. I hope I do so without judgment, with understanding, and with compassion for a woman who did her best, just as I am trying to do, for our two daughters. In May last year I finally allowed myself to begin to look at the ghastly truth of being an “unmothered child”. I needed the support of a very experienced psychoanalyst in order to dare to take off my blindfold, and I spent those hours for many months in tears, sometimes feeling more abject than I remembered feeling ever, so successfully had I repressed those feelings. I remember an old friend cautioning me against opening Pandora’s box, and how we disagreed over that myth and its meaning. Pandora’s box was either a can of worms, or the source of all hope. Now, having opened Pandora’s box, I know that it is both those things. The worms are there but so too is the hope. I sense the fairly widespread frustration of friends at my insistence on dissecting those worms which they wish I would leave alone. I do not think nine months is a very long time in a life and I would rather finish what I’ve started than leave the job half done. I know that I’ve eaten most of the worms, that few remain, and that I can still see hope at the bottom of the box, and that eating the worms did not kill me, even though I feared that it might. I am still here and I am OK, though a bit wobbly from time to time. Sometimes the diet of worms disagrees with me, and I retch, metaphorically, over particularly big fat juicy ones. My reactions vary depending on the day. It is also true that you do not know what is in the box until you open it. Whilst most of the worms relate to my lack of mothering, there are many that have grown fat on my sibling relationship, and a few on my father’s behaviour. For the members of one family are all interconnected. What happens in one relationship impacts on all the others, which is why it is so important that the key relationship between husband and wife is nurtured before all others, for from that font comes the success or failure of the family. I am an inveterate reader and consumer of books, and they have an uncanny knack of hoving into view at the right time. 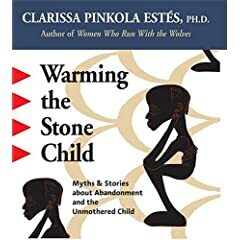 My most recent bitter joy is an audio-tape of myths and stories about unmothered children read by the American poet and Jungian psychotherapist, Clarissa Pinkola Estes, collected under the title “Warming the Stone Child”. We understand our lives through stories, beginning with the fables we are fed when we are children. Some of the tales on the recording will be familiar, some less so, and we are encouraged to remember the stories that have stayed with us since childhood. I’ve written about the books, and songs (for the same is true of songs) that I have carried in my head since I was young, and now I regard those choices with wry amusement. The Heart of Stone. Wooden Heart. The Stone Child. I had long given up hope of many people understanding how it feels to be a stone child, which is why it felt like being wrapped in a warm blanket and cocooned in acceptance to listen to these tapes. The weaknesses and the strengths of the unmothered child are my weaknesses and my strengths, and the weaknesses can be healed, and the scars can be worn proudly, and the strengths can be used for the good of others, especially others who also know what it is like to have been an unmothered child. She describes how an umothered child has a fragile flame inside her, which can easily be blown out by criticism, how she feels as if she is walking around without any skin, how she can collapse suddenly when a criticism today brings back the hurt of yesterday, how she can have an almost psychic understanding of other people, how she can have healing powers and extraordinary intuition, and how she often gets stuck in unhealthy relationships attracted by the slightest whiff of love, like the moth to the flame, and then stays too long. And the stone child can be warmed by cultivating an internal mother who thaws out the stone child and keeps her safe, and helps her grow a thicker skin whilst retaining her intuition as her protection. Maybe, somebody who reads this will be an unmothered child too. When the time is right, listen to the recording. Though your spouse and children may laugh at the funny sing song voice (mine did at first), you’ll find magic in the words, and hope, for, as she says, inside every half burned piece of wood is a spark which can be fanned into a steady flame. And that spark is always there, and the potential for the flame to be fanned never disappears, and the flame will shatter the stone. But you have to feel in order to heal, and the darkest night of the soul precedes the dawn.